The luminous, light finish of this classic, handcrafted desk enhances the luxurious, natural grain of the wood of the desk. The desk has a robust top with a staggered rim, and directly under the top rim are three rectangular drawers. The face of each drawer and the lateral sides of the top are adorned with magnificent, hand carved, floral and scroll designs. 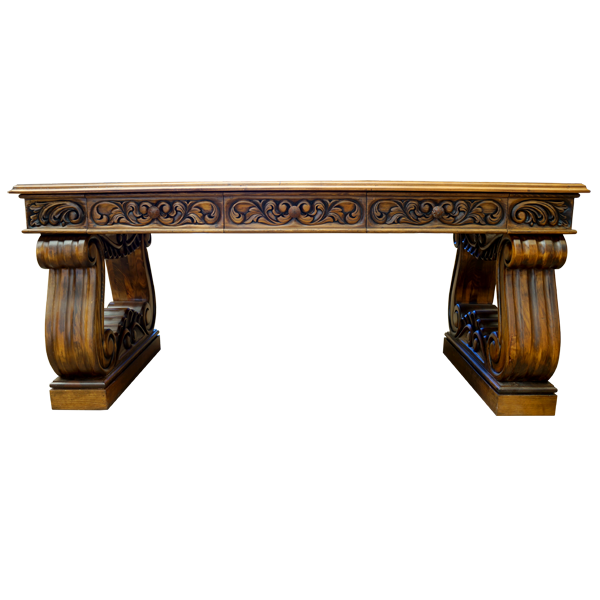 The legs of the desk have a marvelous scroll design, with hand carved, fluted details on the front. Each pair of legs rest on a sturdy, crossbar style, rectangular base with a matching staggered rim. 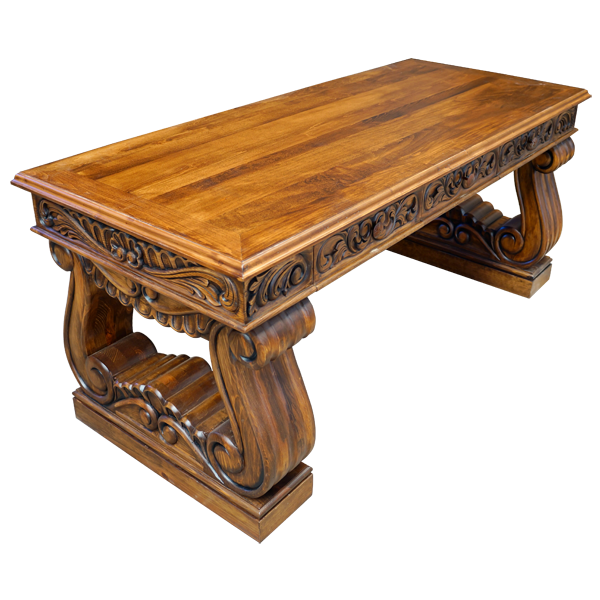 Direct below the top and directly above the base are matching, hand carved, floral and scroll designs. The desk is made with the best, sustainable, solid wood available, and it is 100% customizable.